You must make reservations at least 5 minutes in advance of the time at Bazille - Nordstrom Valley Fair. 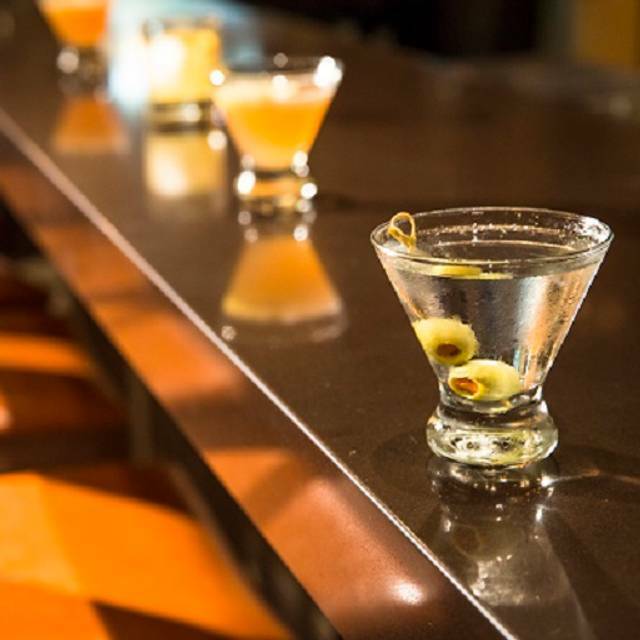 This full-service restaurant with a casually sophisticated atmosphere features bistro cuisine and a full bar. 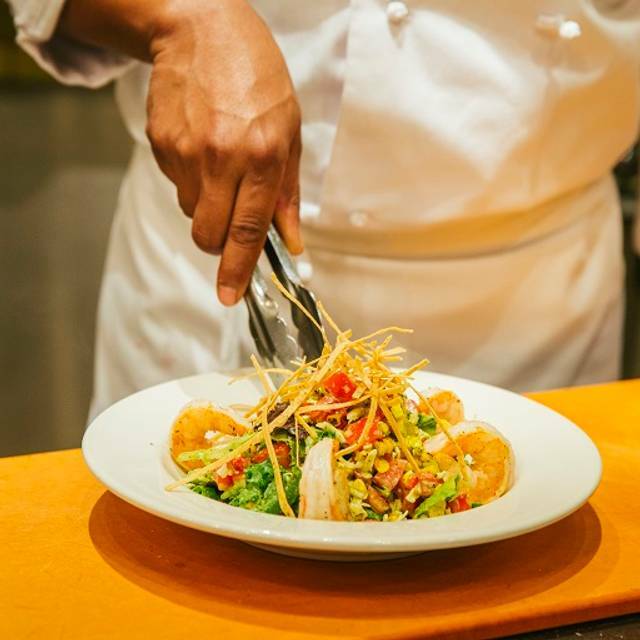 Enjoy fresh salads, specialty entrées, signature cocktails, a wine list and housemade desserts. Bazille is located behind the At Home department on level 3 of Nordstrom at Westfield Valley Fair Mall. The mall is located directly across from Santana Row. Is consistent and good food. Service is not amazing but everyone is very nice. Consistently excellent food, great service, wonderful soups, very nice ambience for a department store cafe. I would definitely recommend this cafe to anyone who wants excellent food at reasonable prices. It was very smelly and service was poor. Our waitress was the worse waiter we’ve ever had in a restaurant! She tells us that there’s bread baking in the oven and will bring it to our table but forgets. She writes down our order but forgot to bring our Caesar salad. She asked us how we would like to have our meats done and we tell her medium rare and she brings it well done and very dry to which we showed her. We were four people but she brought two entrees way before the other two and by the time the last two entrees are brought to the table, the other two people are done eating. Both steaks were cold and dry therefore the butter wouldn’t even melt (see picture). In the muddle of the overdressed and wet arugula salad was a corn (see picture). She didn’t know the wines. She forgot to bring one glass of water which was requested when the steak was brought in, asked her twice and by the time she brings it, the food was done and swallowed dry. She brought complimentary ice cream but forgot the spoons which still does not make up for the horrible waitress service. Disaster!!!! Servers give good customer service and always attentive to customer's need. Wonderful choices on the menu! Gourmet selections. Outstanding service! Pleasant environment! We had the salmon niciose and salmon was much too over cooked. Presentation and service was poor. Not up to their usual standards. A great restaurant when shopping at Westfield Valley Fair. Very quiet and the service and food is always consistent. Our favorite place to eat when shopping at the mall. I have visited Bazille three times this month of January and haven't been disappointed! Although I have been aware of it's existence it wasn't a place to eat that I had on my radar: maybe 'cause it is located in a store. If you love comfort food; this is a must. The menu is limited but what they have would satisfy even the pickiest eater. I have tried the burger twice once with their shoestring fries which is paired with a kalamata aioli dipping sauce. My friend selected the french onion soup and a salad which was aesthetically appealing and delicious. Most recently my husband and I opted for their burger but I substituted for the caesar salad. 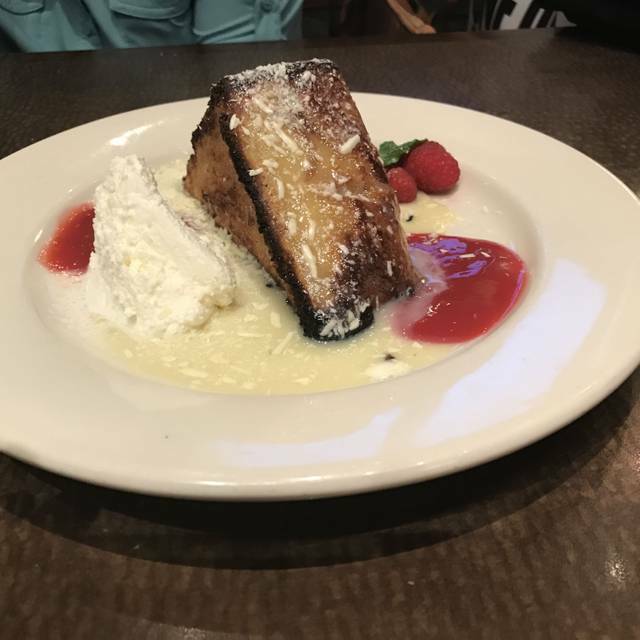 Don't forget to check out the dessert menu; love the orange bundt cake with whipped cream. Service is also above normal (on a scale of 1-5) I would say 4 only because you need to ask for refills. Our boy had the buttered noodles & calamari + Apple juice. I had the Asian salad but swapped the chicken for shrimp instead + cup of crab bisque + ice tea. Took awhile for the server to come take our order. Else, everything else was ok. I had a salad and the dressing tasted extremely salty. The waitress was very nice and took it off my bill. I felt like the salt shaker fell in my salad. I just couldn’t swallow any of my lettuce. The service and atmosphere at Bazille is still excellent. The crab bisque is also still excellent, hot and delicious. The menu for Bazille in Valley Fair has gone down hill. In fact it is terrible. Favorites like the pomme frit and shrimp risotto were taken off the menu. The new chicken dishes are not very good. Absolute yummy food. Everything was great. Our server was exceptional. A great place to eat while shopping! Be sure to make reservations especially for lunch. The food is always fresh and tasty. The chef is creative and always trying to improve his menu. the service is a little slow on busy weekend. Excellent salmon salad. Very nice and comfortable. Great service. The only thing I wish Bazille would have is more health soup's. Most of their soups are creamed based. Chicken Noodle, Vegetable would be great! Other than that I love the menu and the restaurant. 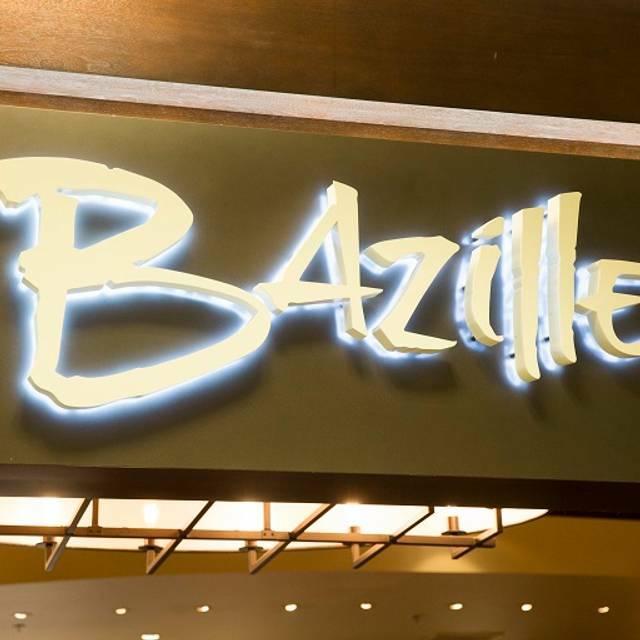 Bazille at Nordstrom Valley Fair is a step above any restaurant at Valley Fair. Great service, the food is always fresh tasting and the staff know their stuff!! Never a bad experience. 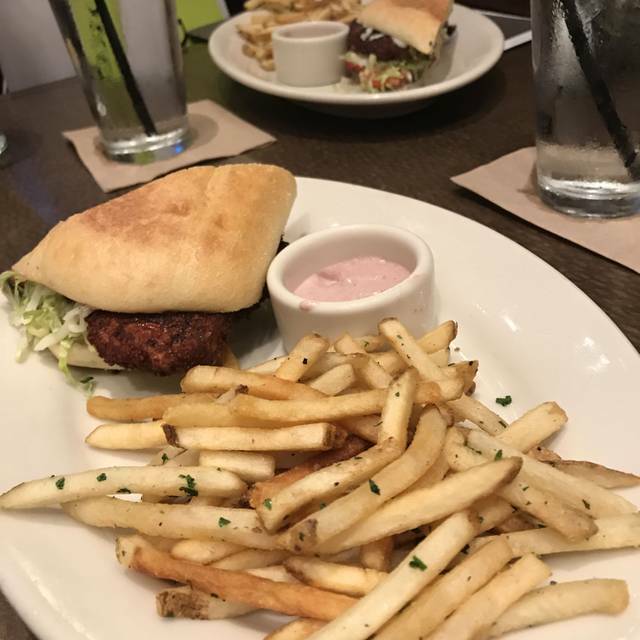 I LOVE this place, I mean, c'mon -- great food inside a Nordstrom with Nordstrom atmosphere! What's not to love?? Well...I would like better kitchen service. 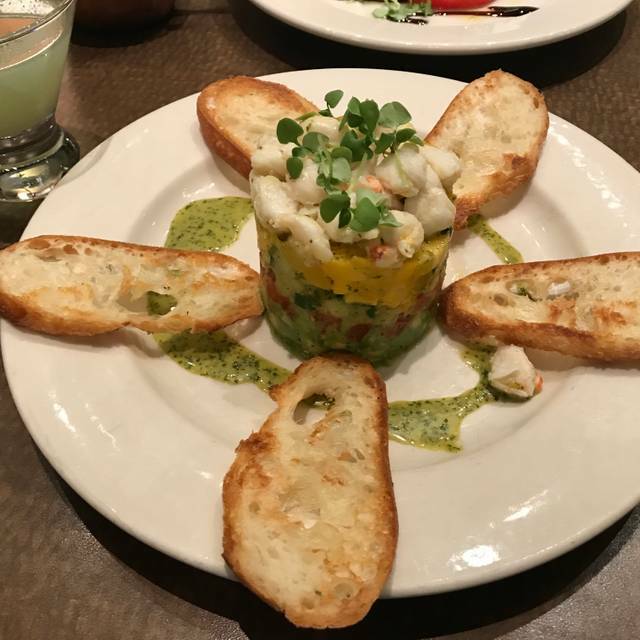 For example, I ordered the fabulous mango, avocado and crab salad -- sooo delish! But, the avocado came bruised and bits of brown deep in it. So, for once, I asked the server to have it replaced. It did not come back until I was almost done with the salad. I couldn't wait. I also had to shovel it off my plate onto a side plate the server brought..as if the kitchen did not believe me, when they should have witnessed it to begin with. Then, I got one somewhat similar. It seemed a bit of a joke. I kept it since I don't want to make a fuss, but this meal is not inexpensive either, so I expect regular avocados or if they are not good at the time, a substitute of some seasonal sort. A good place to eat for a lunch or dinner after shopping, it’s located in the mall, the French fries our great! My mother and I love coming here for lunch. I always get a salad with a side of their amazing fries. My mom loves the pizza. The service is great, the food comes out pretty quickly, and the overall atmosphere is relaxing. No options for vegetarians... only a couple of vegetable side dishes, and salads that’s it!! None of their entrees are vegetarians. Always a great and consistent meal, good and friendly service. 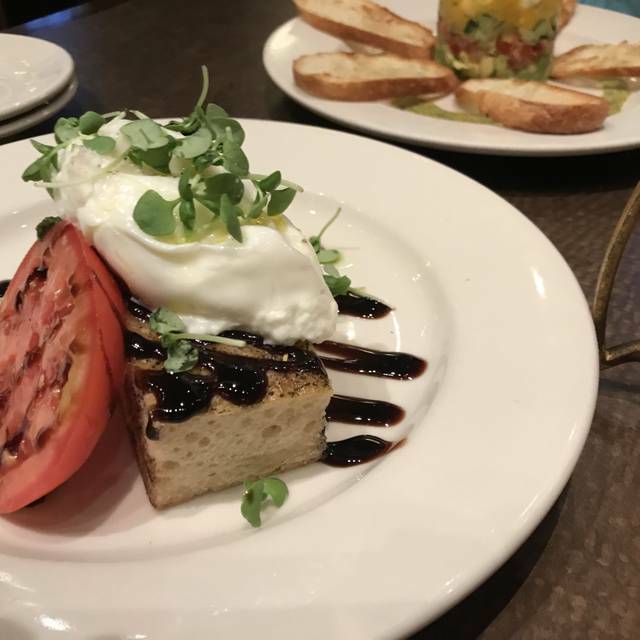 Chef Ryan’s menu is fresh, farm to table quality. 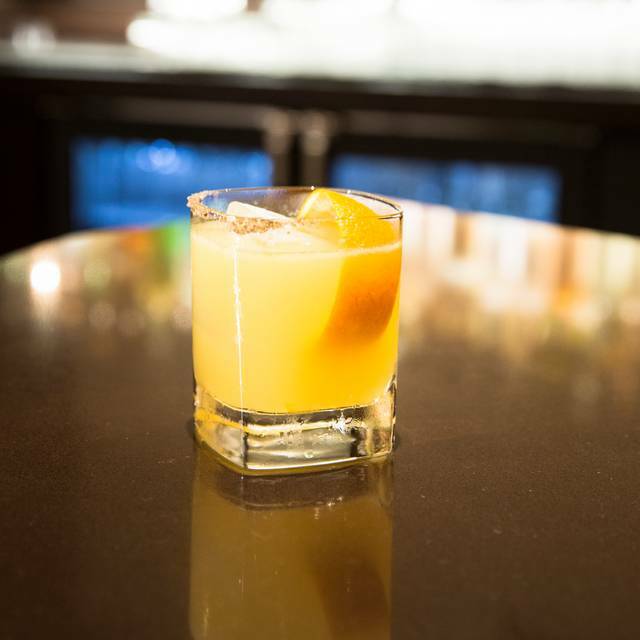 We have dined at Bazelle's many times and we always get excellent servers. Didn't even know this place was on the third floor. Quiet yet well maintained. The food was great, but it wasn't expensive, especially considering it's in Nordstrom. I would definitely go again. Bazille is a hidden gem. Formally Nordstrom Cafe, this restaurant still has much of the same menu as before but with a more contemporary vibe. The lemonade is freshly made, the bread is fantastic and the entrees are well prepared. My wife and I love bringing our son for a casual yet cozy dinner. The service staff is wonderful and they always make sure our glasses are always full. It's a terrific spot for lunch and dinner. I love coming here when I go to Valley Fair. They change the menu here and there and it's always great....the wine by the glass selection is very good. First visit for my guest - food was delicious - it was an all around very pleasurable experience. The hostesses were fantastic, they sat me right away. As a single dinner my only comment is that it would be nice to be out in the main area not put in a corner new a server station or hostess station. The food was AMAZING as always, I’ve been here many many times and the food always exceeds expectations. Usually the service also exceeds expectations, however, this time around my waitress only checked on me once after I received my food. Then I was left looking for her for over 45min after my dishes and drinks had been taken away. I ended up asking a different waiter for my check. He quickly got it for me but seemed put out by my request. All in all it wasn’t an ideal way to end a meal. However, I have to say that this is one out of over fifty times in the last few years I have gone to Bastille. It usually doesn’t happen and I know the managers and servers will be more on it in the future! Consistently great high quality food. Excellent service and food was very good. 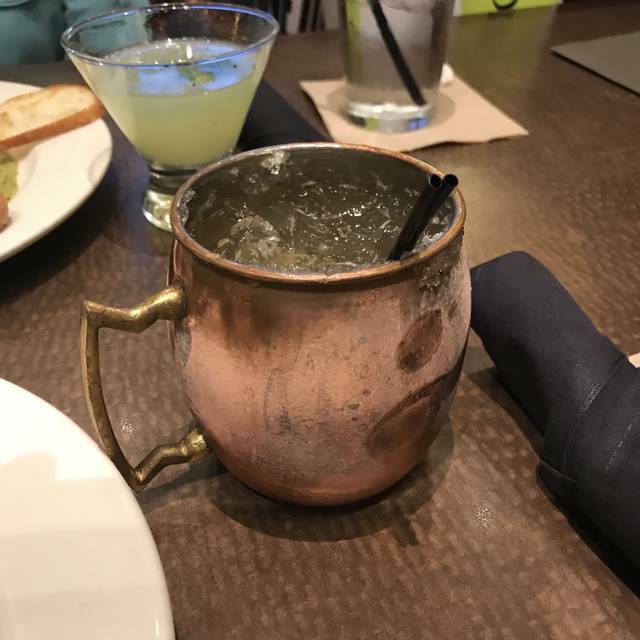 The food and cocktails and service here are always outstanding. The service was great, but the food has declined. I used to get the seared chicken but it was taken off the main menu and brought back as a seasonal item. As a seasonal item the way they cooked it changed- no more crispy skin or herb butter. Bleck! Also, they didn't offer bread, olives or chocolate sticks at the end. This place has changed for the worse. I eat here often, dining alone on my way to evening meetings and rehearsals, etc. But this time my wife and I elected to go here together before attending a performance nearby. Fearing it might be crowded, we booked a reservation on OpenTable. Everything we ordered was great, service was good, overall a pleasant experience.